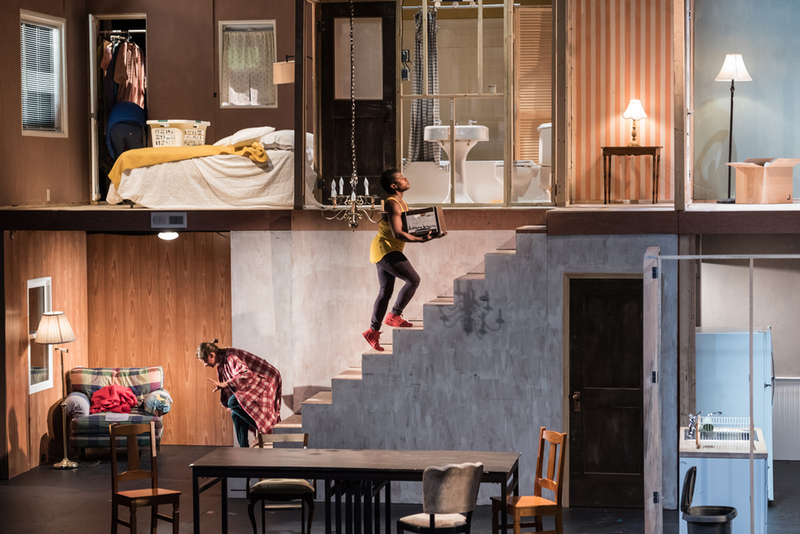 "Home" by American theater artist Geoff Sobelle is probably one of the performances with which an audience can connect the most as everyone should be able to find traces of everyday life on stage. This may be especially the case in Hong Kong, where residential prices top the world, and everybody aspires to own a home. The limited space has generated various social phenomena, such as nano flats, different forms of shared flats, various ways of home ownerships, etc. 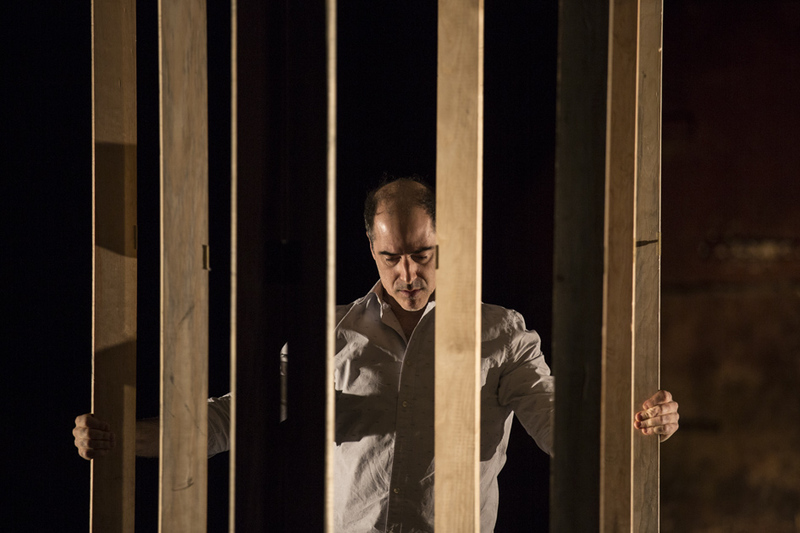 Sobelle, who claims to dedicate himself to the "sublime ridiculous", wanted to put up a show to let the audience rethink the terms "house',' "home", and "identity", both locally and globally, in a theater performance at the Hong Kong Arts Festival. The performance comprised illusion, choreography, storytelling, live music, and a house party in which the audience joined. A house of two levels was built from a simple frame on an empty stage, with renovation added on later. The theme of "people come and go" was carried through. On a bed, a boy magically became an adult, a man slept with his wife, who then left. Later, more people of different ethnicities and backgrounds moved in. Like you and me, they shared the bathroom for brushing their teeth, for showering, and used thekitchen for meals, etc. However, not much interaction seemed to be among them. Most people led their own lives even under the same roof. On the stage was also a musician performing frequently. He seemed to be a spectator, who saw the "chess game" better. His music was like a metaphor for narration. Those in the "chess game", or residents in the home, were like animals in a zoo being watched, even during showering. The breakthrough came when a visitor brought a gift for a party. The performers set not only the stage but the whole theater that they threw strings of light to the audience, who passed them over until they were hung up. Members of the audience were invited to the stage to take part in the party. They interacted with the performers as if they had known each other before. A band, instead of a single musician, performed at the same time. Family and friends usually get together for ceremonies and funerals. During the party, somebody got married. Before the closing of the party, someone passed away that everyone mourned for him.In a nutshell, the different life stages and the fate of humankind that everybody experiences were staged. Sobelle explained those invited to the party were real audiences. They were secretly given verbal instructions so that they knew exactly what to do and when to do. After the party, the home became a private and intimate space again. It could be a place and time for meditation and reflection. It was also a rare moment when dialogues were heard when the performers babbled about memories of their homes. The house was finally demolished following the gradual dying down of the music. "People come and go" not only in one's life, but that also applied to space. After the demolition, another new house may be built and new residents will move in. Sobelle drew his inspiration for "Home" when he bought an old house in Philadelphia. "I was fascinated by seeing all of the old work, little adjustments, and changes that people had made to the house before me. I also changed the house, and I wondered about the people that would come after me - what would they think of the changes that I had made to the house? Would they appreciate them? Would they want to change them again? Would they even notice? "I wondered - whose home is this anyway? This house. It is my home. But it was someone else's home before me, and it will be someone else's long after I'm gone. And what of the mice? The spiders? Surely it's their home too... they raise their families, endure hardships, take shelter from the storm. Do they even know that I exist? Who is haunting who exactly?" Although "Home" resonated with the audience, Sobelle said he did not deliberately create any universal appeal. He was stimulated by Hong Kong's living environment. "Hong Kong is the first place that we have performed that is so vertical! Everyone lives on top of one another, so I think that this theme: that everyone is living in the same space, everyone is living on top of one another, resonates well." He said "Home" was out-of-the ordinary theater in several aspects. First, there was no story and did not revolve around a script. Second, it did not augment what the performers did, instead, the performers responded to the design, which was a critical element and was the very center of the creation process. 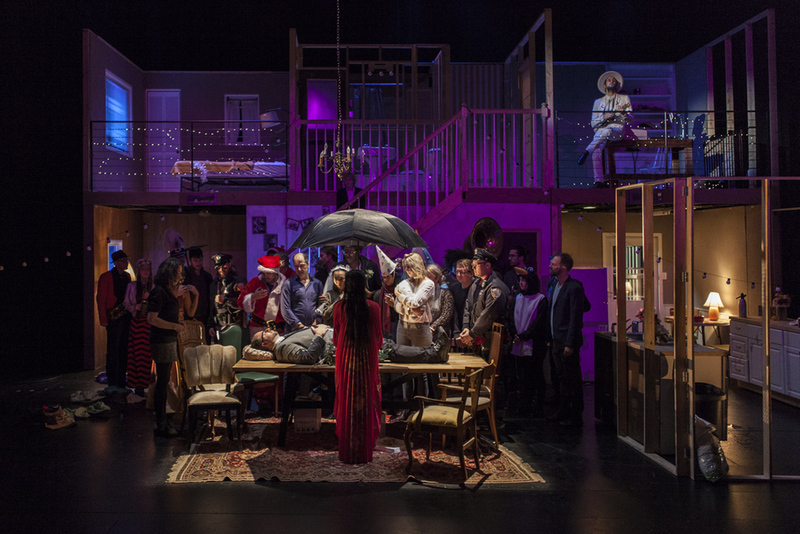 Also, in "Home", the line between the proscenium and the audience was broken, who was invited to the party. Through "Home", Sobelle hoped people could think: "Whose home is this? What does home mean to me?"